Joy E. Renolds ’98 has been named Executive Director of the Wolfe Street Foundation. 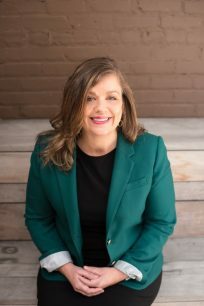 A Little Rock native, she joins the Wolfe Street Foundation after 7 years at Our House, where she served as the Director of Grants & Evaluation and was a member of the senior leadership team. Joy has a B.A. in English from UA Little Rock and a Masters in English from the University of Michigan. She is currently participating in Leadership Greater Little Rock as a member of Class XXXIV.